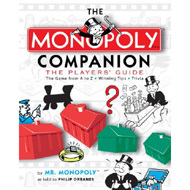 A large selection of books about the Monopoly Game is shown below. 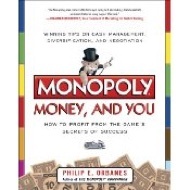 Monopoly, the world's most popular board game, is largely misunderstood. 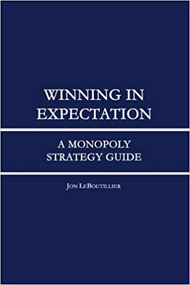 In Winning In Expectation, author Jon LeBoutillier examines the theoretical and mathematical underpinnings of the game, developing a robust strategic framework for analyzing the game in all its complexity. and friends. 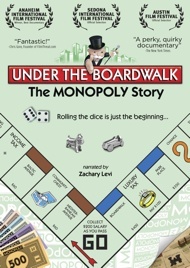 Now, the whole story of game and the place it is based on is revealed in Monopoly: The Story Behind the World's Best-Selling Game by Rod Kennedy, Jr. Take a virtual walk down Boardwalk and advance to St. Charles Place through this fascinating visualization of the classic Monopoly game board illustrated with Atlantic City images that brings to life, for the very first time, the very real place upon which this game is based. 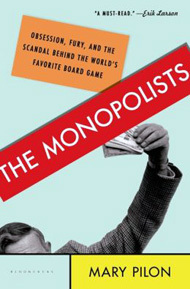 Many books have been written about Monopoly, the world's most popular game. 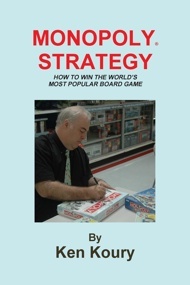 Now for the first time a 35-year internationally known Monopoly tournament player shares secret game strategies and tactics previously known and practiced by only a handful of top competitive Monopoly tournament players and coaches. After more than 50 years, Rich Uncle Pennybags has finally decided to tell the world everything he knows about the history, rules, and winning strategies of the world's most popular board game. Profusely illustrated. world's most popular board game-the MONOPOLY game. Often called 'the MONOPOLY Man" or "The Chairman of the board," he here share his secrets for the very first time. Born in Atlantic City, he still lives nearby with his wife Madge. and not become spellbound by its insightful stories and the personal memories that the text and 420 brilliantly colored photographs bring forth. 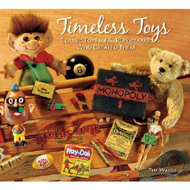 Slinky, Lego, Tonka trucks, Monopoly, Big Wheel, Frisbee, Hula Hoop, Super Ball, Scrabble, Barbie, Radio Flyer Wagons: All of these and many, many more are featured in this fascinating tome, along with the toys' histories, insider profiles, and rare interviews with toy industry icons.